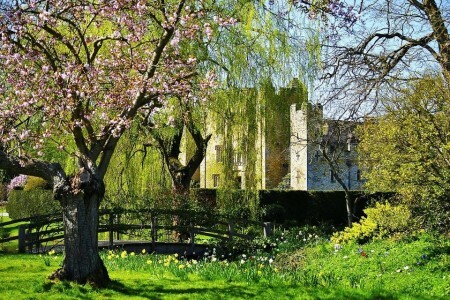 Would you like to visit the childhood home of Anne Boleyn, the second wife of King Henry VIII? 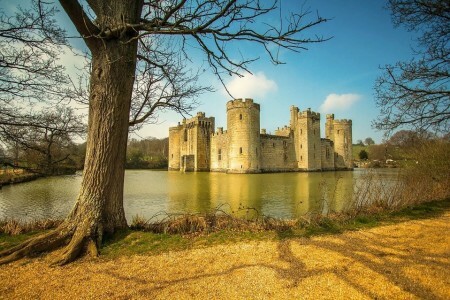 Would you like to see the picturesque Bodiam Castle, built in 14th century by one of the most powerful knights, Sir Edward Dalyngrigge? Would you like to feel the charm and magnificent beauty of one of England's finest landscapes of High Weald? 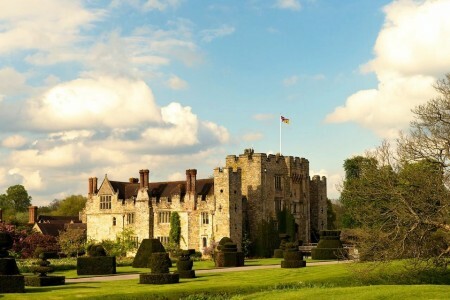 If yes, then the day trip to Hever Castle and Bodiam Castle is definitely the adventure that you are looking for! The trip starts early in the morning from London. The first stop is Hever Castle. Hever Castle is famous for being the childhood home of Anne Boleyn, who was the second wife of King Henry VIII and Queen of England from 1533 to 1536. She was a key figure in the political and religious upheaval that was the start of the English Reformation. 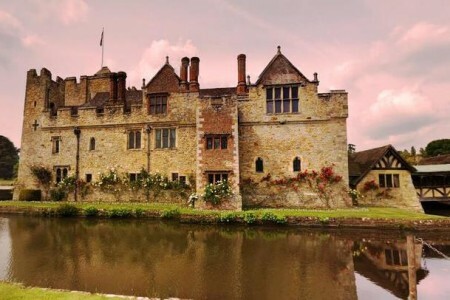 The castle has the oldest working original portcullis in England and there are three floors containing antique furniture, a large collection of Tudor paintings, Kent Yeomanry museum and Anne Boleyn’s prayer books. You will also enjoy a stroll in the quintessential English Garden of the castle, which consists of many cascades, grottoes, fountains and thousands of flowers. After the tour of Hever castle, you will proceed to Bodiam Castle. 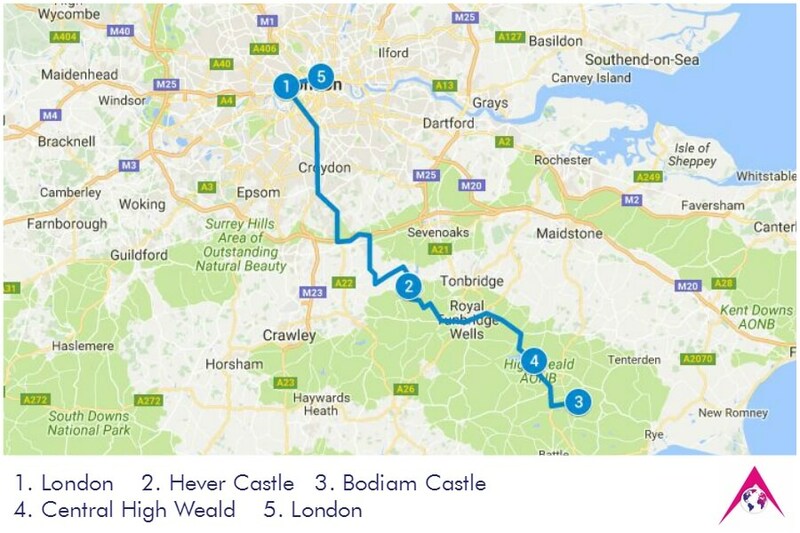 Оn the way to Bodiam castle, you will pass through the central part of High Weald. High Weald is an area in south-east England, characterised by an attractive, small-scale landscape containing many small farms and woodlands, historic parks, sunken lanes and ridge-top villages. It covers an area of 560 sq miles (1450 sq km) and it extends across the counties of Surrey, West Sussex, East Sussex and Kent. You will pass by the central part of this area on the way to Bodiam Castle. You will enjoy many breaks in picturesque areas and be delighted by the beauty of its scenery. 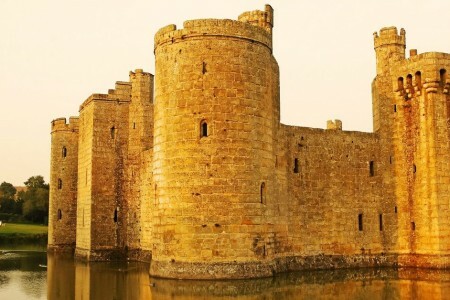 Set in the heart of High Weald, Bodiam castle has spiral staircases, outstanding medieval architecture, battlements and a portcullis. Built in the 14th century, it is one of Britain’s most beautiful and romantic ancient monuments. Encapsulated in adventurous stories and legends, the castle continues to inspire the imagination of all visitors with secrecy, mystery and majesty. It was built in 1385 by the knight, Sir Edward Dalyngrigge. Its purpose was to defend the area against French invasion during the Hundred Years’ War. Enough of the interior ruins survive to give an impression of its great beauty and significance. You will enjoy a tour of the castle, exploring its hidden secrets. The tour ends back in London at around 19:00h. The private day trip can be booked via email, by phone or just by filling our enquiry form (recommended).